Although Joseph Smith declared that “…the Book of Mormon was the most correct of any book on earth…” many editing and typesetting errors have been introduced into the text by even the most well-meaning of individuals since its publication in 1830. For instance, Joseph asked Oliver Cowdery to transcribe the original manuscript into a "printer's manuscript", which was used by the printer to typeset the 1830 Book of Mormon. Unfortunately, mistakes were introduced when transcribing the printer's manuscript from the original. The original and printer’s manuscripts contained very little to no punctuation, leaving the structuring of sentences to the typesetter who was not affiliated with Joseph Smith nor the church. This lead to changes in meaning perhaps not intended by the Lord in his translation work through Joseph. Although the printer's manuscript has survived until today, very little of the original translation manuscript remains. Over the next ten years and after several new additions of the Book of Mormon, Joseph Smith labored to correct some of the mistakes he found in previous editions. In a few instances he corrected doctrinal content he had since come to understand better. The last edition published under Joseph Smith's direction was the 3rd edition in 1840. A British edition was printed in England by the Apostles during the first European mission in 1837. This edition was later updated in 1841, but did not include most of the changes that Joseph Smith made in the 1837 and 1840 American editions. It is the Apostle’s British Edition on which all subsequent LDS editions are based. An limited run 1842 edition was also published (about 600 copies), which was a republication of the 1840 edition. 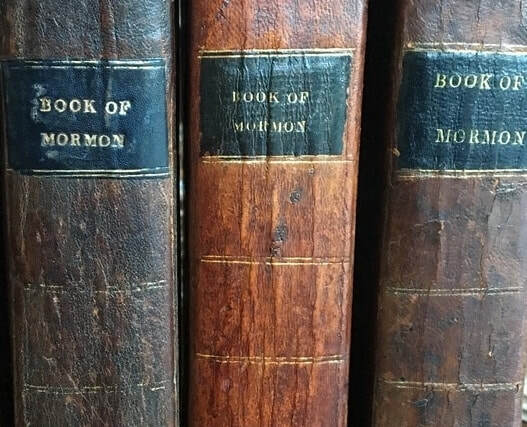 A Historical Edition of the 1840 Book of Mormon has been created that faithfully reproduces the original, including spelling and typesetting errors. How is the Book of Mormon the most correct book on Earth? Obtaining the sealed portion: Imperative to your personal redemption? A Restoration Edition of the 1840 Book of Mormon has also been created using the facsimile copies of the remaining original and the printer’s manuscripts, combined with scholarship that has taken place over the last 20 years.